Watch and record satellite TV on your PC! Plug the PCTV 461e into a USB port on your Windows PC or laptop and you can watch, pause & record FreeSat satellite TV, both standard definition and HD. You can also watch the free satellite channels broadcast over Astra and Eutelsat in HD. 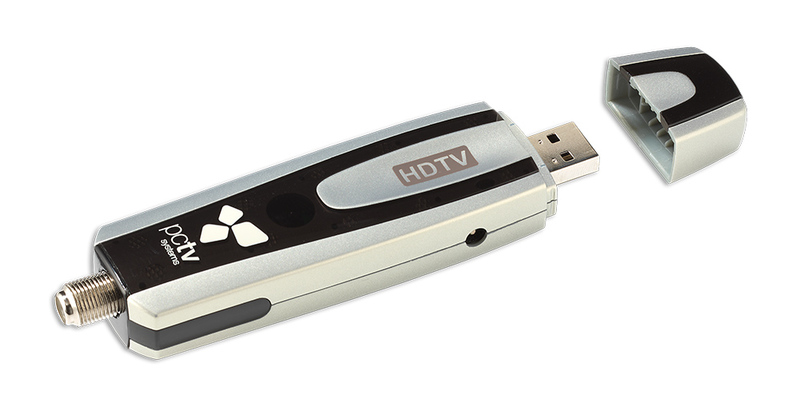 The PCTV 461e allows you to record your favourite TV programs in the original HD quality. Make a movie or TV programme library from satellite TV, and watch them on your PC at any time! The PCTV 461e comes with TVCenter 6 and DistanTV applications for Windows. With TVCenter, you can watch or record your favourite TV programs in your PC, in a window or full screen. TV recordings made with the PCTV 461e can be scheduled and played back from mobile devices as well as from the PC or Mac. With DistanTV, the PCTV 461e can stream your favourite TV programs to your iPhone, iPad or your Android-based tablets or smartphones plus a PC or Mac. Plug the 461e into your PC and turn it into a HDTV digital video recorder (satellite DVR). With the included TVCenter 6 application, you can watch HD or SD TV on your PC screen, in a window or full screen. A built-in Electronic Program Guide (EPG) allows you to see what's on TV now and what's coming up. Schedule your TV recordings with the EPG. Plus pause live TV and record your favourite TV programs in the full digital TV format. LinuxTV.org is now distributing the support for the PCTV 461e, so if you are building your own Linux system and want to add TV, the PCTV 461e is for you! To get the latest Linux support, make sure you are using Linux version 3.16 or later. For more information, go to LinuxTV.org. Linux support for the PCTV 461e is in kernel 3.14 or later. For more information, please see here.